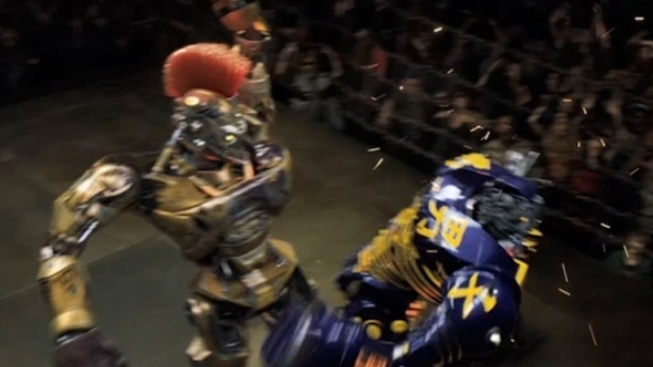 Will The Success of "Real Steel" Allow Shawn Levy to Show His Filmmaking Mettle? If you went to see “Real Steel” this weekend and it felt as much like an 80s Steven Spielberg movie as “Super 8" did, director Shawn Levy says don’t be surprised...even though he was. “If you’re my generation, and you make populist Hollywood movies, you are a descendant of Spielberg,” Levy tells PopcornBiz. He admits that, even with Spielberg as “Real Steel” executive producer, the film’s nostalgic elements – set in a futuristic world in which boxing matches are fought by robots, where an ex-prizefighter (Hugh Jackman) and his estranged young son (Dakota Goyo) come together in their bid to create a champ out of Atom, a ‘bot salvaged from a scrapheap – came together as much happenstance as design.